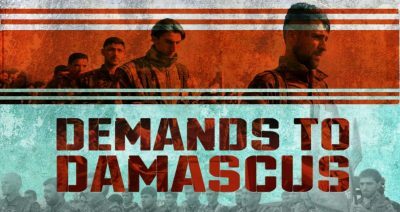 On January 19, the so-called Democratic Federation of Northern Syria (DFNS), an entity established by US-backed Syrian Democratic Forces in attempt to legalize their control over a part of Syria, released a 10-points long list of demands to the Damascus government. Summing up the claims, the DFNS in fact demanded the Damascus government to legally recognize and a semi-independent Kurdish state and its military force within Syria and to fund this state from the central budget. If these demands were the official stance of the Kurdish leadership during the recent round of talks with Damascus over the situation in northern Syria, it becomes apparent why no notable progress has been achieved so far. In the case of Afrin, such stance undermined all efforts of Damascus to find a political solution with Kurdish armed groups and allowed Turkey to kick off a military operation capturing the entire area from Kurdish forces. This scenario could be repeated once again in Manbij. On January 18, the Afrin Liberation Forces (ALF) released a statement claiming that they had carried out a fresh attack on Turkey-led forces. According to the AFL statement, ALF fighters attacked a “base” near the village of Jinderes on January 17 injuring 5 Ahrar al-Sham members and 2 Turkish service members. The AFL is a brand created by the Kurdish People’s Protection Units (YPG) to hide their involvement in attacks on Turkish-backed militant groups and the Turkish military in the region. Previous attacks took place on January 16 and 15 resulting in the deaths of 2 Turkish-backed militants and injures of 6 others. On January 19, the US-led coalition stressed that its warplanes had eliminated 200 ISIS fighters and commanders in the period from January 7 to January 13. The coalition also confirmed that the SDF had captured al-Kashmah, Sirat Masoud, and al-Shafah from ISIS. On January 18th and 19th, two bomb blasts targeted the Hay’at Tahrir al-Sham-controlled city of Idlib. The first explosion was a booby-trapped car killing 15 civilians and militants and injuring nine others. The second explosion injured eight people, including four women and children. On January 19th, the Nedaa Syria news outlet reported that the Turkish-backed Ahrar al-Sham Movement will redeploy hundreds of its fighters in the opposition-held part of the northwestern Hama countryside under a new agreement with Hayat Tahrir al-Sham. Previously, Turkish-backed militants were defeated and forced to flee the area. It’s possible that a new agreement with Hayat Tahrir al-Sham is that success in the implementation of the de-escalation agreement, which was recently claimed by the Turkish Defense Minister.